I don't have (m)any stamps saying anything about new jobs, sorry you're leaving, good luck in the future and such, so this cool Tim Holtz stamp has to do the job this time. And in some way, it does relate to the questions and doubts most of us can feel when facing the unknown future. No point in spending time feeding our fears, when so much more can be achieved by encouraging our hopes and wishes! 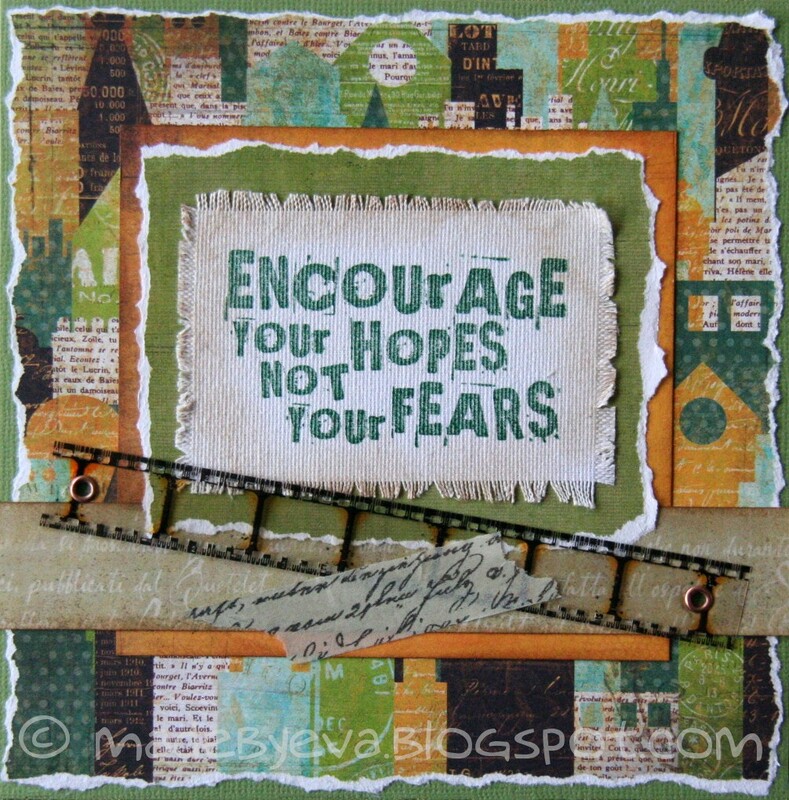 The papers are BG and the sentiment is stamped on StickyBack Canvas. Embellishments are kept to a minimum due to the busy DP - just strips of Tim Holtz negative film and script tape.